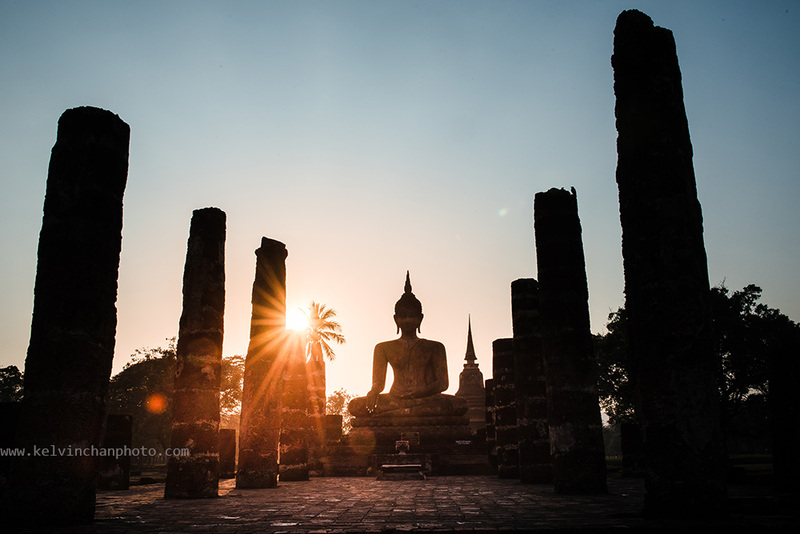 Buddha in sukhothai park during sunset. Thailand’s most impressive World Heritage Sites constructed during the Kingdom of Sukhothai era from 1235-1438 AD. Spreading over an area of 5 km, this ruin is too big for you to walk within a few hours. Having your own transport is the most convenient and comfortable to get around. Your transport can drop you near the entrance where you can walk and explore on your own the nearby ruins. There are many scattered over a large area, some are quite well restored while some are just pile of bricks. Quite a number of the Buddha statures are said to be original. An early morning tour or late afternoon is the best time to be there as it’s cooler and give you more choice of photo opportunities.